Extra is better. Extra clothing, food and fluid should be carried in case of emergencies, particularly on an Alpine walk. Each person should make every effort to stay with the group. If you are having trouble keeping up, you must inform the leader. Fast walkers should restrain themselves, and stay with the group. Each person must at all times be able to see the next person in front of them, and the next person behind them. If you become separated for whatever reason, you must immediately raise an alarm by blowing your whistle three times, or by loud calling. Wait where you are, and keep calling until a response is received. No person is to leave the group without informing the leader, even for a nature call. A leader may advise a person to abort their walk, and will arrange for them to be accompanied home. The leader would only do this for the benefit of the person, and the welfare of the group. Experienced walkers may, by arrangement with the leader, deviate from the planned walk BUT never alone, and preferably at least three together. Leaders are the Club’s representative, and are responsible for the implementation of the Rules. Leaders usually plan the outing, and in so doing cater as far as possible for the range of abilities of all intending participants. Leaders are responsible for the group, as well as individual well-being. Leaders have to evaluate all risks, and take appropriate action as the need arises. They will always act in the best interest of the whole group. Leaders will advise each participant of degree of difficulty, distance, likely conditions and any expected problems prior to the start of the walk. Leaders will also advise which kit to carry, and any special requirements. Leaders report on all walks they lead. Every person is responsible for being appropriately attired and equipped. The leader must be informed of any known deficiencies prior to starting out. The leader is to be informed of any condition liable to hinder a person from performing at their usual standard. Anybody with a pre-existing condition, or are prone to blisters, should carry appropriate treatments. Members should ensure that new walkers are adequately equipped. They should be given a copy of the Checklists, and the Guide to Safe Bushwalking. Each person is to sign the Register of Participants before they commence the walk. You may (that is, optionally) choose to fill out a medical information card to carry with you – see the link below. Easy: To about 12km, generally on tracks in flat terrain with climbs to 200m. These walks are suitable for most people of average fitness. Medium (Long): As for easy but with distances up to 18km, possible with some cross country sections and/or climbs over 200m. 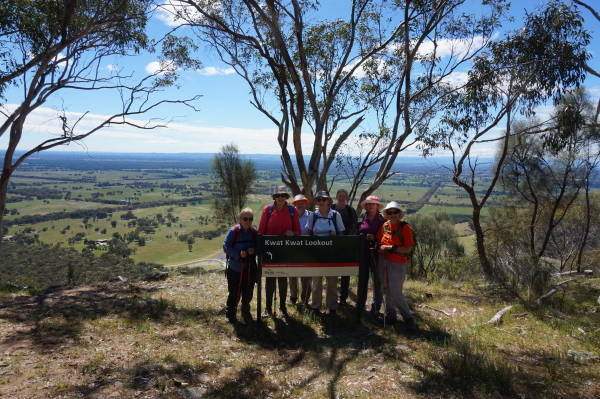 A reasonable level of fitness, and some bushwalking experience is recommended. Medium (Climbs): 12 to 18kms. 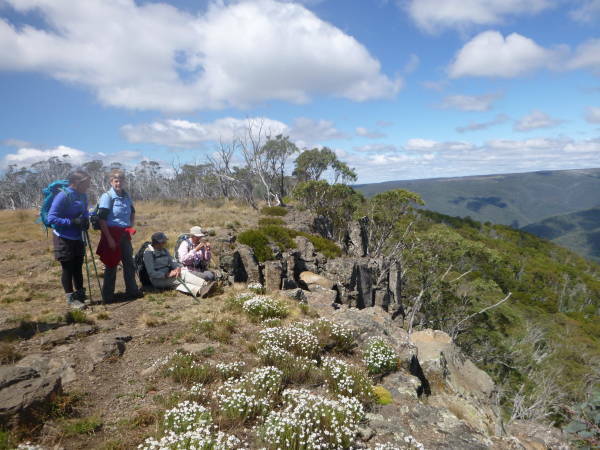 Walks may include some rough terrain, “scrub bashing”, and possibly sustained climbs to 600m. 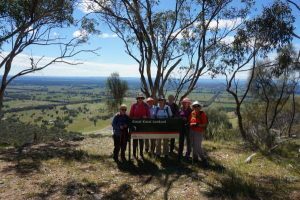 A reasonable level of fitness, and some bushwalking experience is recommended. Hard: Distances greater than 18km, and/or climbs over 600m, in any combination. These walks should only be undertaken by fit and experienced walkers. Please contact the Walk Leader at least two days in advance (three days for camps) for details of the walk, meeting time and place and of petrol money amount.